Since July of 2018, Fr. 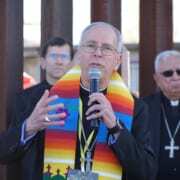 Stephen Pitts, S.J., has served as associate pastor and director of religious formation at Sacred Heart, a Jesuit parish just blocks from the U.S.-Mexico border in El Paso, Texas. 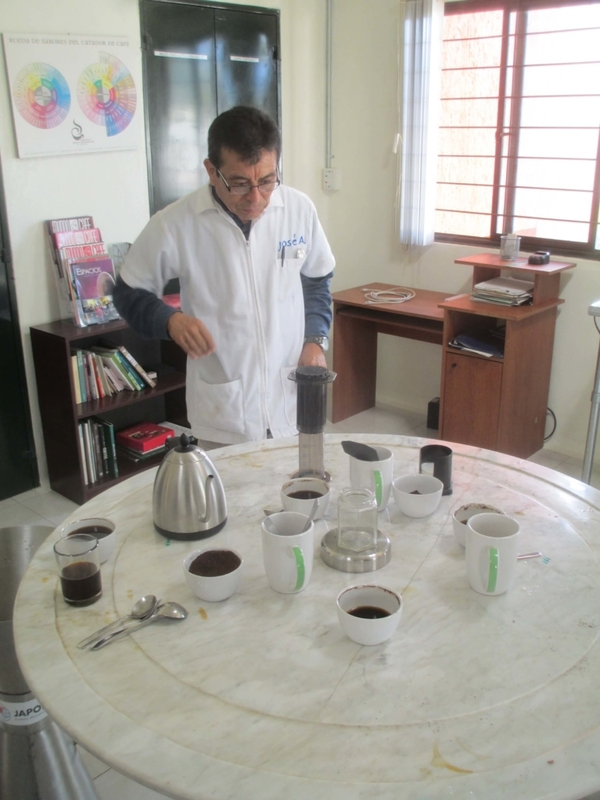 Pitts has also spent significant time in Chiapas, Mexico, both ministering as a priest and conducting significant research, looking at a cooperative economic model that is transforming the rural, isolated community of coffee farmers. Fr. Pitts and Christina Rossini’s friendship dates back to their days as undergraduates at the University of Oklahoma, where they met as retreat leaders. After college, she dove into a career in telecom sales and he entered the Jesuit order. Christina Rossini, Fr. Stephen Pitts, S.J., and Monica Hennes, Rossini’s mother, in Chiapas, Mexico. Rossini is a Dallas, Texas native, educated in high school by the Ursuline sisters, with a strong focus on Catholic Social Teaching. During Pitts’ years of formation prior to ordination, he spent three years as a teacher at Jesuit Dallas, during which time he and Rossini reconnected over their shared Catholic justice roots. After his time teaching high school, Pitts attended the Jesuit School of Theology at Santa Clara University. In 2014, he assisted with planning the school’s 25th anniversary celebration of the Jesuit martyrs in El Salvador. Inspired by the martyrs and their diverse areas of expertise, Pitts considered taking an economics class to expand upon his theological training, but instead, at the urging of a friend, enrolled in the University of San Francisco’s development economics and international development masters program—an unconventional decision that would lead to significant impact in both the U.S. and rural Mexico. The program has a strong social justice application and culminates with a project-based thesis. 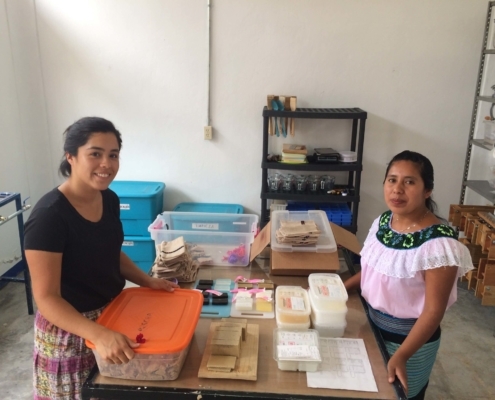 As he was exploring thesis options, a chance meeting brought him in contact with a longstanding Jesuit mission in northern Chiapas, Mexico, which provided the foundation for Yomol A’Tel, a group of cooperatives formed in collaboration with Tseltal indigenous families. He jumped at the opportunity to coordinate a comprehensive survey of Tseltal farmers, the first quantitative study of its type in the region. Fr. 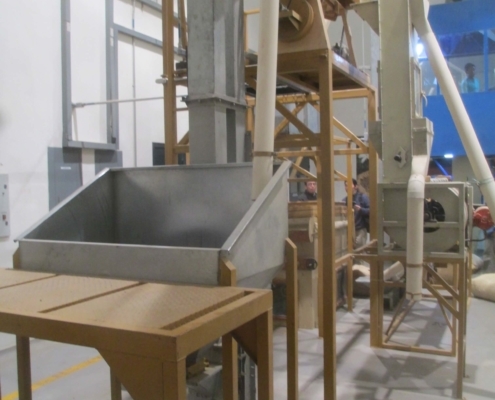 Pitts gives a tour of the coffee roasting facility in Chiapas. At Pitts’ ordination that summer, in 2017, Rossini learned about Pitts’ upcoming work in Chiapas. She was intrigued, and Pitts invited her to visit during his time there. Her visit was transformational and would set the stage for a relationship between the Jesuit network in the U.S. and Yomol A’Tel, incorporating coffee, economic justice, and growth of an innovative approach to addressing root causes of migration from the Chiapas region. A coffee farmer in Chiapas. 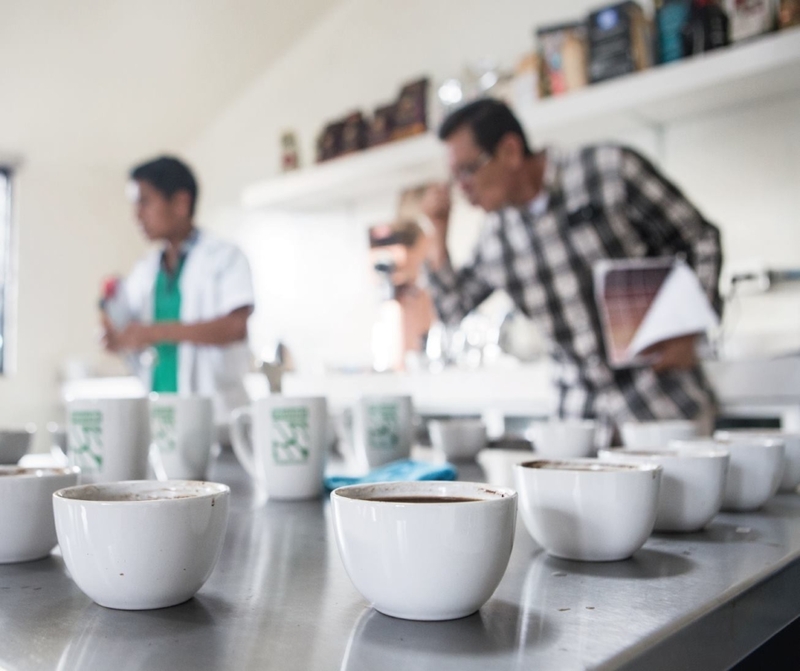 Historically, farmers have tended their coffee crops on small 5-7 acre plots, then sold raw, green coffee beans to a local coffee broker, or coyote. Three issues have arisen over time from this arrangement. First, the coffee market is incredibly volatile, with fluctuating prices leaving farmers at the mercy of the global market. Second, farmers had absolutely no direct market access—a premium crop might have the potential to increase earnings from a single harvest, but without market access, this potential was lost. Finally, a lack of stable and consistent income from harvest to harvest pressed many farmers to involve themselves in predatory lending schemes—often from the same coyote who was purchasing coffee—taking out loans at interest rates ranging from 150-300%. This led to generational debt and poverty, and, in many cases, forced migration, particularly when compounded by a poor harvest due to crop loss from parasites or other issues. 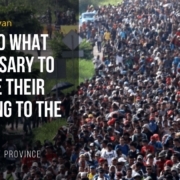 About 18 years ago, the community of small-holder indigenous farmers approached the Jesuits for assistance to end forced migration from the region. Many in the region were seasonal migrants, traveling to Cancun and other locales during tourist season, but returning for the harvest. The local community recognized the particular toll this was taking on family ties, which are highly valued in Tseltal culture. 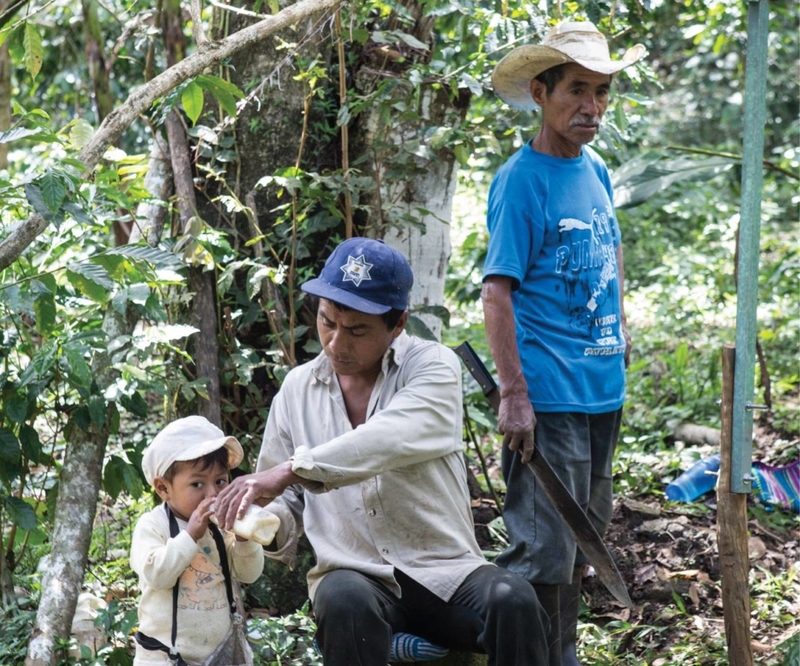 Family ties are highly valued in Tseltal culture, making forced migration due to economic instability in the coffee market highly detrimental to indigenous communities in Chiapas. 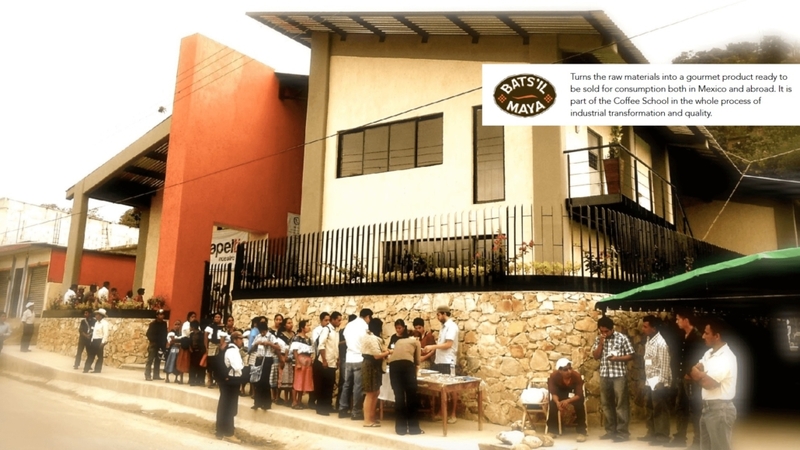 The Bats’il Maya coffee plant, where beans are roasted and packaged for sale and shipping. 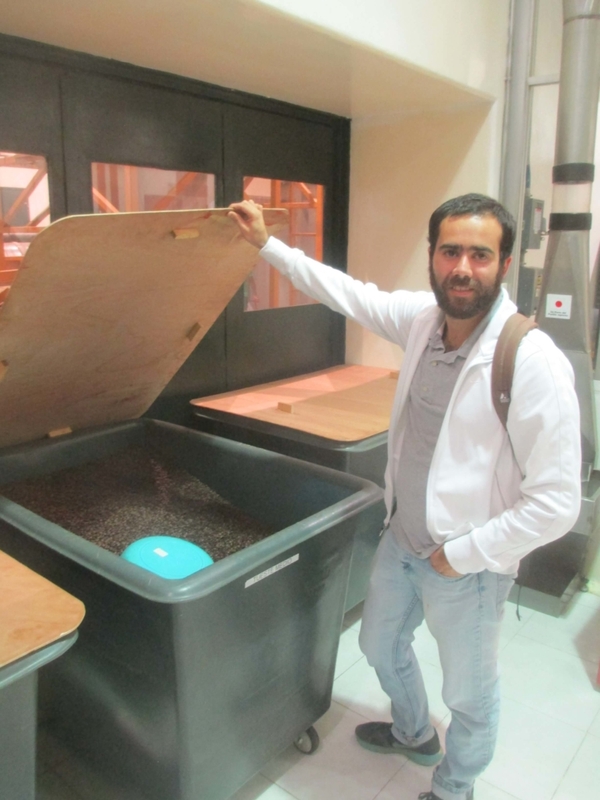 The result of this request for assistance from local indigenous farmers was Bats’il Maya—a coffee cooperative, self-governed and sustained by a group of local farmers without private or government funding. 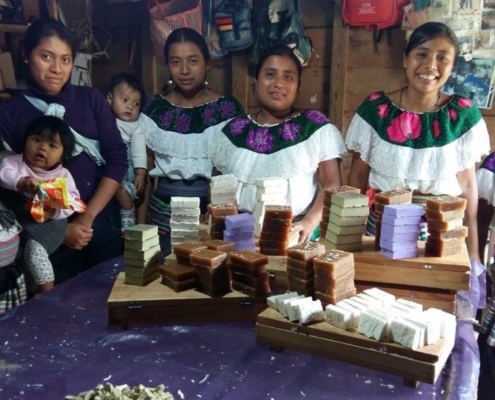 The cooperative, founded with the support of the Mexican Jesuits, has received financial assistance from the Spanish Jesuits and private donors, and, at present, is financially self-sufficient. 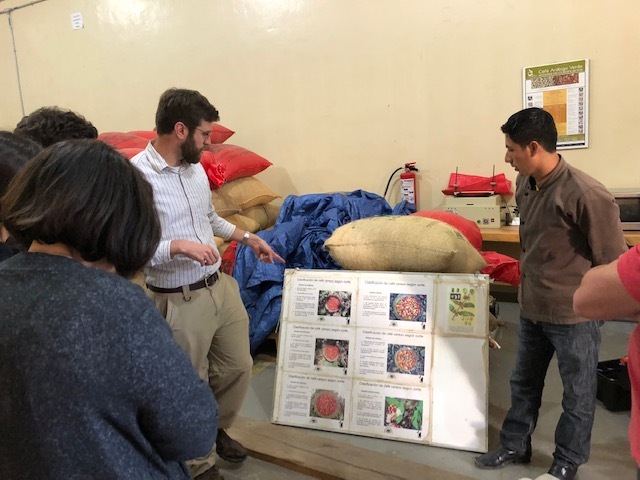 The cooperative aims to reduce forced migration by creating stability for farmers through fair, consistent pricing, at present up to twice what the local coyote was paying, and larger market access resulting in farmers’ ability to sell 25% more of their harvested coffee. 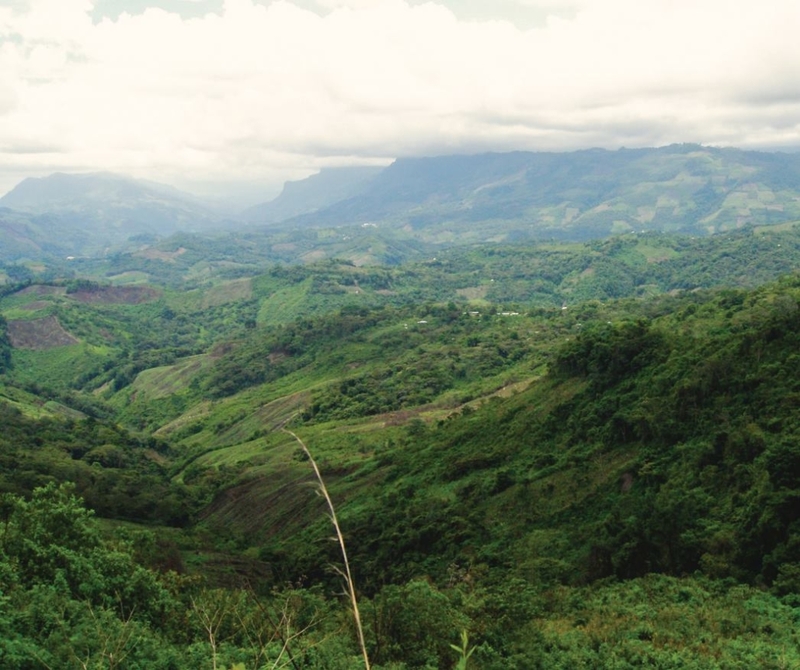 The elevation and climate of the northern region of Chiapas are ideal for growing coffee. Now, in 2019, 339 farmers are members of the coffee cooperative. There are two criteria for membership: farmers must be Mexican and must agree to apply organic practices within three years of joining. All members are indigenous Tseltal, and the vast majority have civil and church responsibilities in their village. 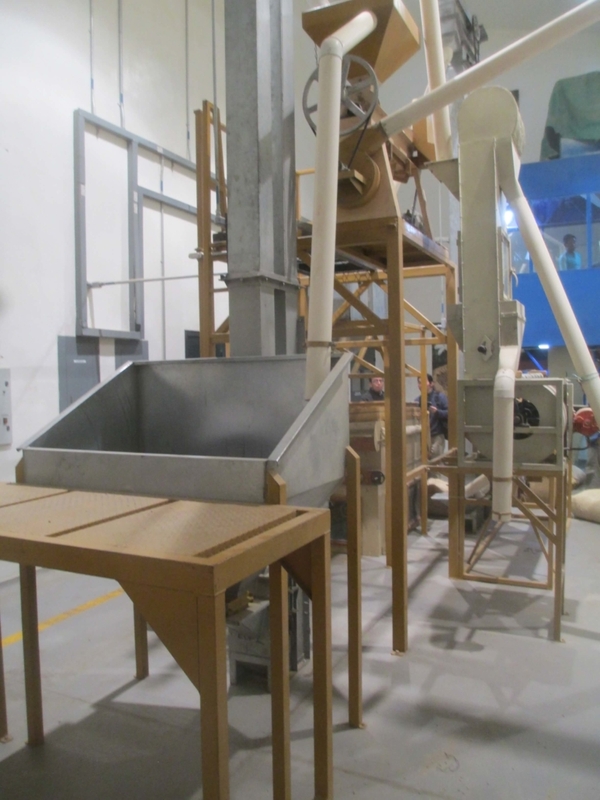 The program also boasts a uniquely closed-loop economy. 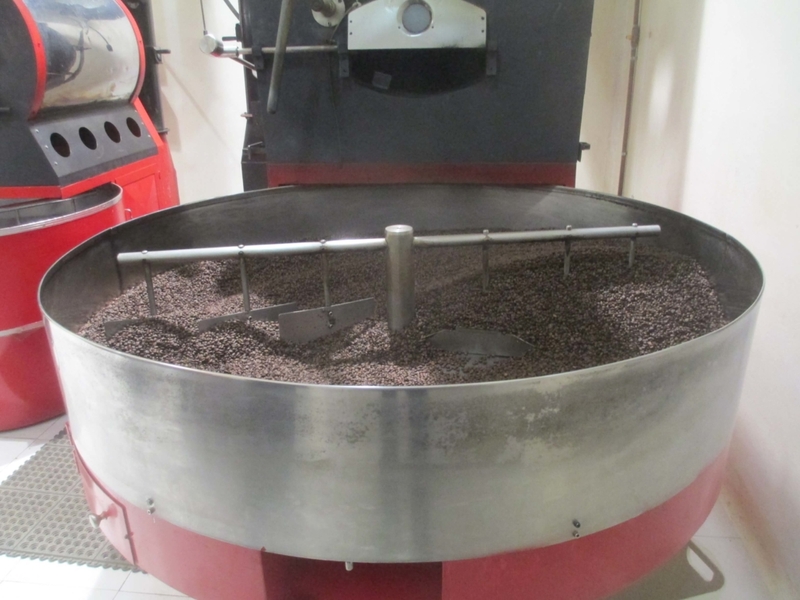 In addition to the selling power that is given to farmers, the beans are now roasted locally; as a result, the cooperative owns the only coffee production operation in the region that roasts at the origin of the beans, financed through investment funds from the Japanese government. 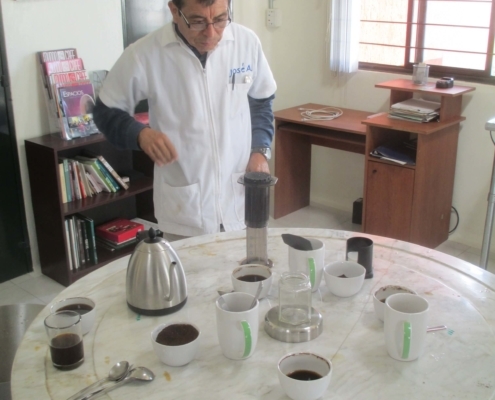 Each batch of coffee is meticulously analyzed for taste before being packaged for sale. The market-ready product is where all the value is. 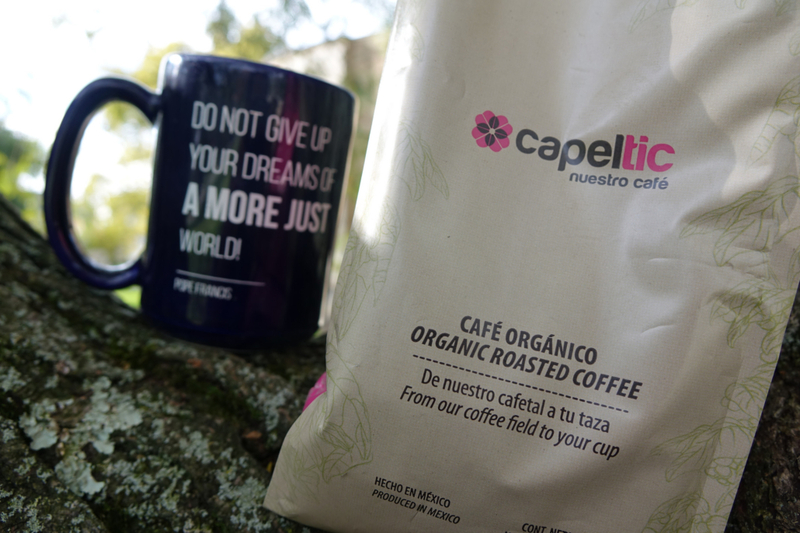 The finished product, Capeltic coffee, is not blended and is made with 100% Arabica beans from the region. The coffee is bagged for sales onsite, and a FedEx truck arrives every Thursday for global distribution—an arrangement that allows maximum profit to stay in the community via the cooperative, while also providing an immensely fresh product to consumers. Latte art at a Capeltic coffee shop. 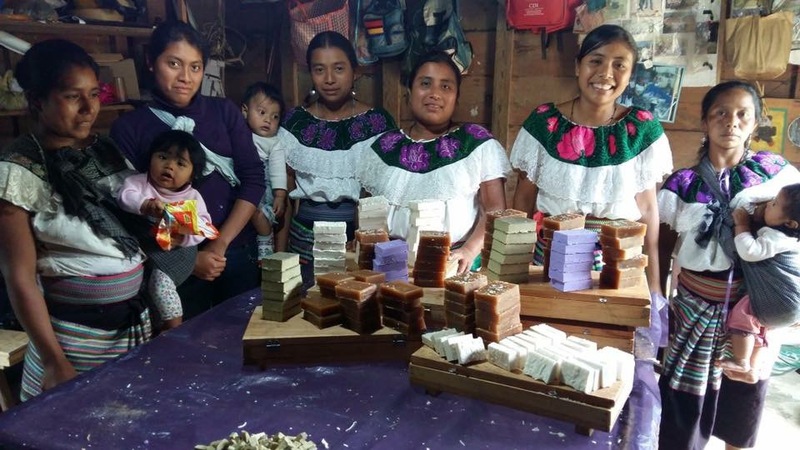 Bats’il Maya and Capeltic now fall under the umbrella of Yomol A’Tel, a group of cooperatives including honey, soapmaking, and embroidery companies. 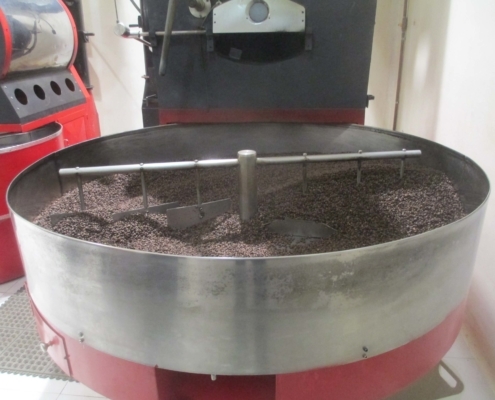 Yomol A’Tel’s roasting facility is one of the largest employers in the region along with the government and the local taxi union, and was the first of its kind in the region, now serving as a model plant for other cooperatives looking to initiate coffee roasting operations. 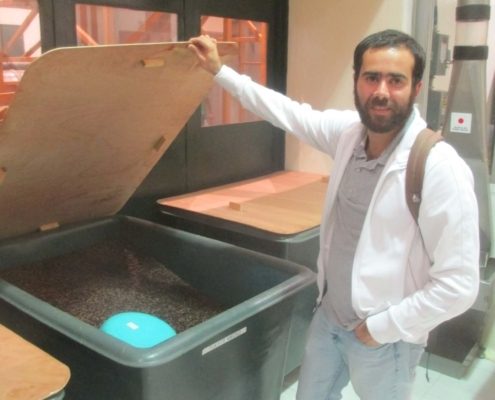 There are now five branded Capeltic coffee shops in Mexico, which cross-sell other Yomol A’Tel products: two on the campus of the Jesuit university in Mexico City, one in Guadalajara, one in Puebla, and one at the roasting facility. The shop profits are reinvested back into Yomol A’Tel, primarily to the cooperative’s microloan arm, which allows any farmer in the cooperative to take out a low risk, low-interest rate loan for unexpected living or medical expenses or to invest in local business startups. 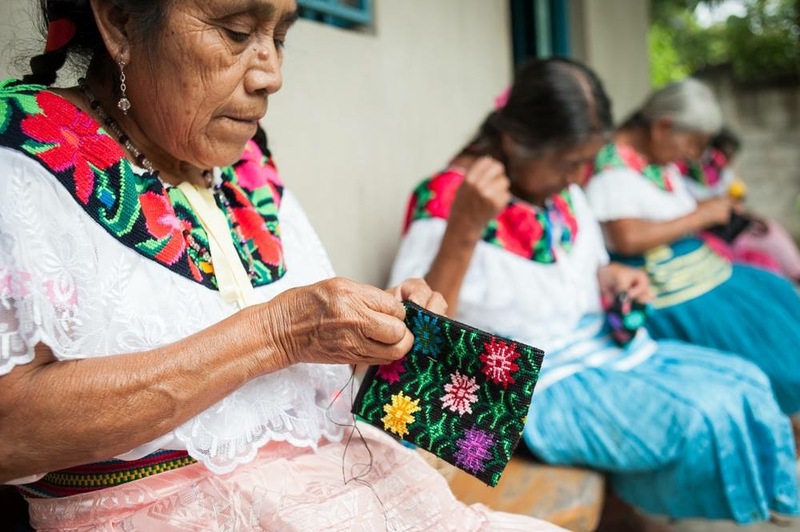 Capeltic Comes to the U.S.
During Rossini’s visit to Chiapas in 2017, both the embroidery and coffee cooperatives separately approached she and Pitts to request help to bring their products to the United States. They immediately said yes, despite having no experience with international business or commerce. They started small, selling products at a holiday bazaar at Jesuit Dallas in 2017. Pitts began a word-of-mouth networking campaign in the Jesuit network. 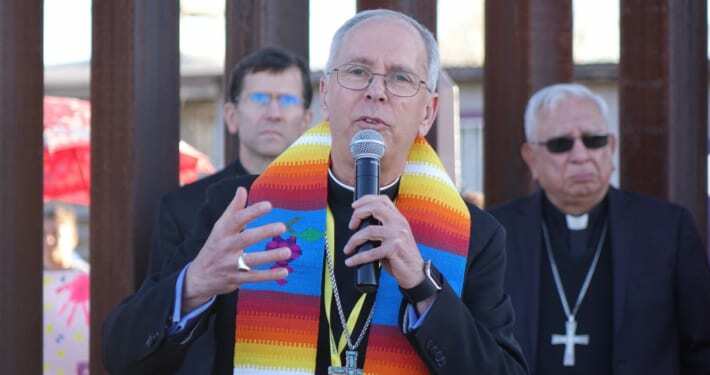 He received an enthusiastic response, particularly from fellow Jesuit priests who were surprised that there was no awareness of the cooperative amongst Jesuits in the U.S. 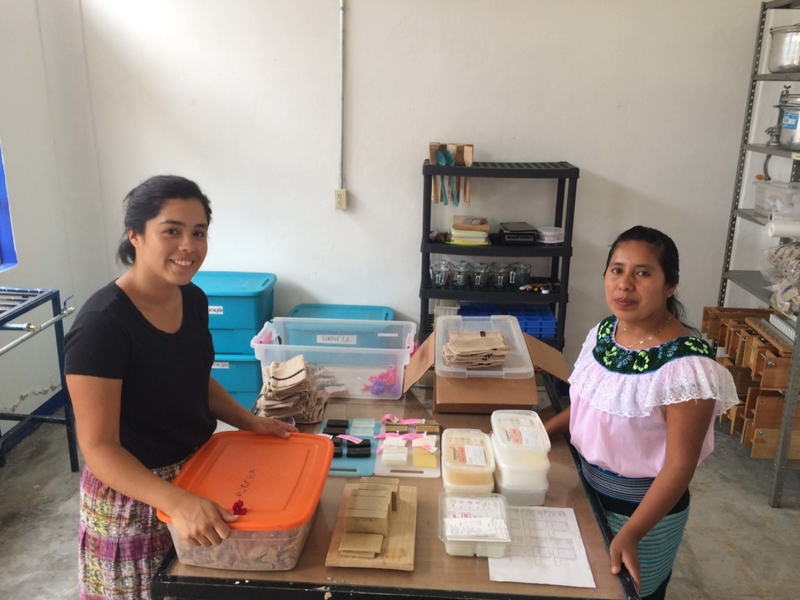 The scope of transformation brought about by the Jesuit mission in Chiapas and local cooperatives, Pitts’ research and engagement with indigenous families, and now Rossini’s work as the U.S. arm of product distribution is complicated to quantify. 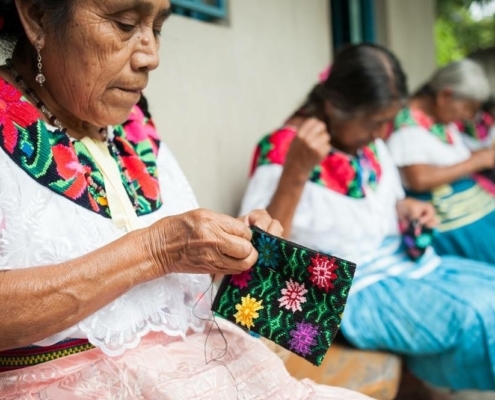 At its core, the Jesuit mission and resulting local cooperatives have created stability and sustainability in a region pushed to the farthest margins by a global economy. A brief look at Pitts’ research can help shed some light on the topic. Past research has explored education levels paired with land and family size in relation to membership in a cooperative. What Pitts’ research has found is that social capital, a concept translated from Spanish as “popular movement,” is a much more powerful force than education, or land and family size—in essence, members choosing community based-governance and economics over governmental or corrupt and unjust private entities. At its core, the Jesuit mission and resulting local cooperatives have created stability and sustainability in a region pushed to the farthest margins by a global economy. Capeltic coffee is grown, harvested, roasted, and packaged in Chiapas, created a unique closed-loop economy that creates increased economic stability for farmers and the greater community. Pitts’ work now is to create a database from his thesis research to provide data access to the cooperative. He is working with the mission and cooperative staff and a local professor to use the database for future projects, such as teaching the Tseltales to grow other crops like avocados and peaches. But the reach extends beyond the local potential—Mexico’s new president, Andrés Manuel López Obrador, has shown growing interest in development projects that help rural agricultural communities in Chiapas and greater southern Mexico. 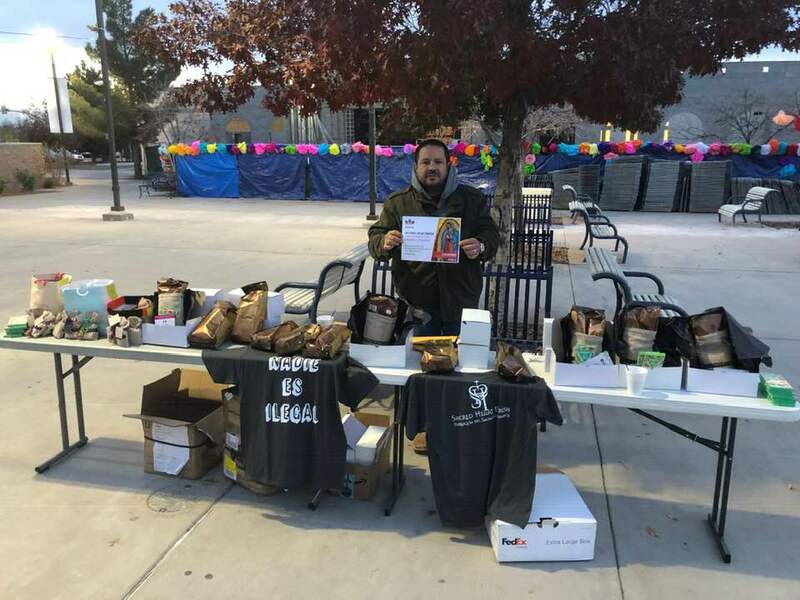 Capeltic supporter Roberto Gamillo helps with a sale of Capeltic products at St. Mark’s Catholic Church in El Paso in support of the Ignatian Solidarity Network’s day of solidarity with migrants on the Feast of the Virgin of Guadalupe. 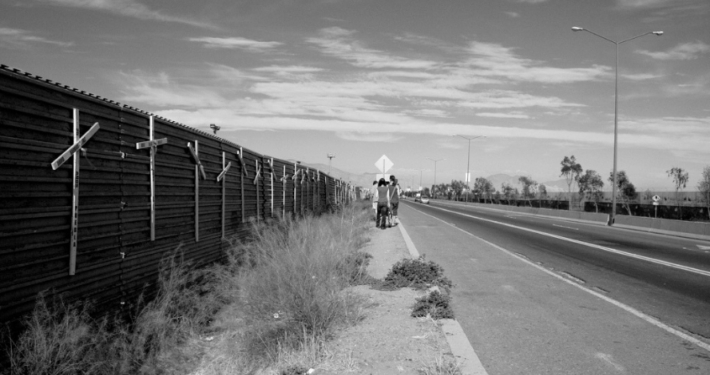 Gamillio, who was raised in Juarez, supports Capeltic as a concrete way to address the root causes of migration in southern Mexico. He hopes to visit Chiapas one day. The impact can be seen in the U.S. context, as well, as awareness and support grows with Pitts’ and Rossini’s work. 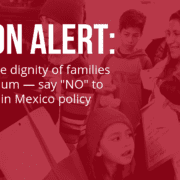 The most significant response comes from the Mexican Catholic community on the border and the Jesuit network. 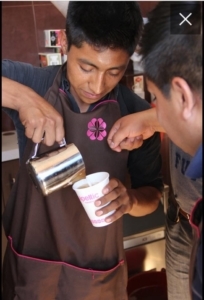 Since January 2018, twelve Jesuit institutions, organizations, and partners in the U.S. have supported Capeltic through coffee purchase—the University of San Francisco, Jesuit School of Theology at Santa Clara University, Strake Jesuit College Prep in Houston, Saint Agnes Church in San Francisco, Sacred Heart Parish in El Paso, Sacred Heart Parish in Richmond, VA, St. Ignatius Loyola Church in New York City, Most Holy Redeemer Church in San Francisco, Our Lady Queen of Peace in Madison, WI, the Ignatian Spiritual Life Center in San Francisco, Loyola House Jesuit community at the University of San Francisco, and through a unique co-branding initiative with the Ignatian Solidarity Network. 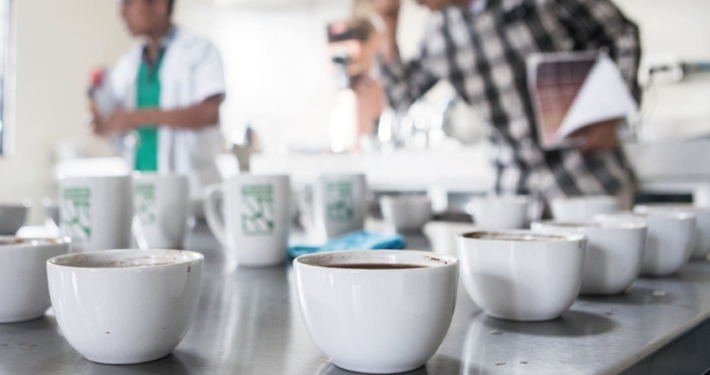 Three institutions—Loyola Marymount University, Marquette University, and Saint Ignatius Prep in San Francisco—have amplified the work, resulting in increased sales and awareness of Capeltic coffee through campus programming and messaging. 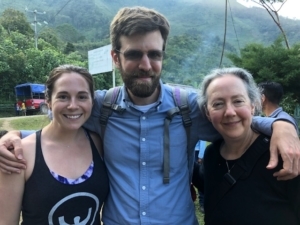 Each new connection is a bridge incorporating the justice work of the cooperative and the justice potential of institutions and communities in the U.S.
Pitts is quick to state that fair trade certification has brought significant benefits to many communities throughout the world. 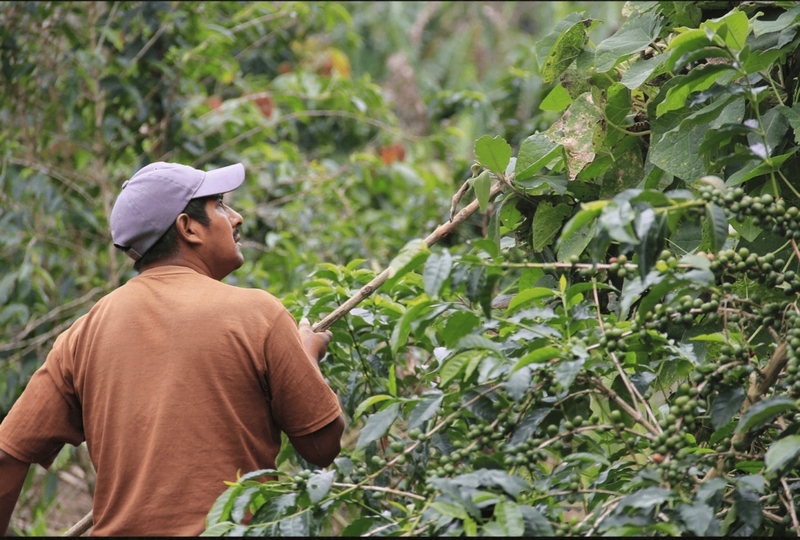 However, he explains the work in Chiapas as a “next step,” eliminating economic barriers that fair trade certification costs can bring, particularly when a farmer cannot sell an entire harvest at a fair trade price. Are you interested in supporting Yomol A’Tel through a purchase of Capeltic coffee and embroidered coffee bags? Visit the Ignatian Solidarity Network store to order today through ISN and Capeltic’s co-branding initiative! For wholesale information, to learn more about Capeltic in the U.S., or to bring Capeltic to your institution or community, please visit Inissor International or email Christina Rossini. Hats off. Remarkable initiative. “Do not give up your dreams for a more just world” – says the Coffee Cup! 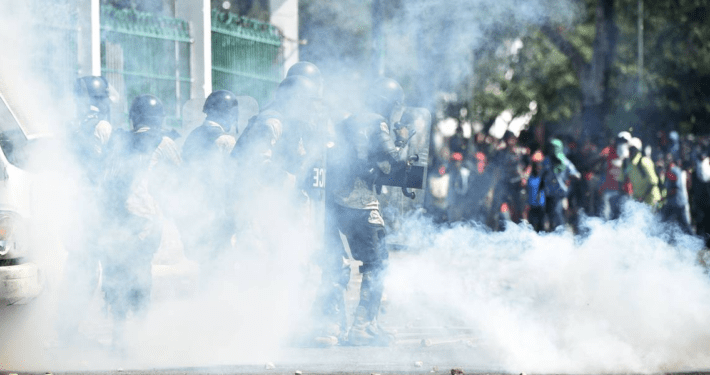 Is there support for the Maquila strikers in Matamoros?